The Linsly School will use this strategic plan and vision to help attract and retain students of talent and impact. 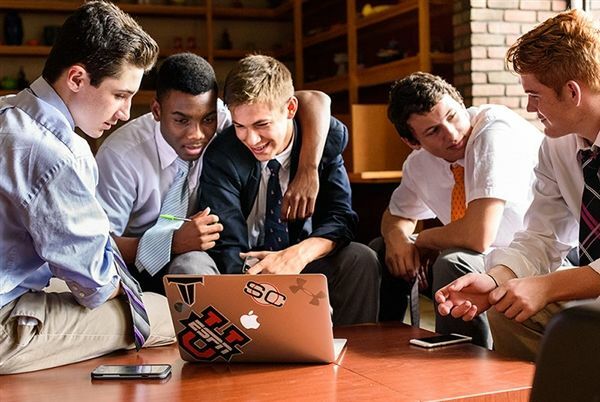 We will then engage these students and their families, as well as our alumni, who in turn will feel connected to and an essential part of The Linsly School’s future. Their giving will strengthen the school, allowing us to invest more in financial aid, innovative programming, facilities upkeep, and faculty and staff compensation. The end result will be a financially sustainable model that will allow The Linsly School to be able to continue its essential work in the years ahead. Continue to maintain financial equilibrium while controlling costs and keeping tuition increases as small as possible. Create a campus master plan that focuses on facility and programmatic needs, auxiliary revenue options, and the development of a vibrant boarding and residential life experience. Increase non-tuition, auxiliary program net revenue using summer programs and other non-traditional revenue sources.